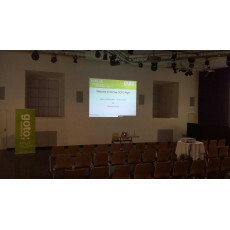 There is still some time before the next GOTO Berlin conference takes place. To give you the GOTO feeling until then, we schedule a wide range of free GOTO Nights in the months before. GOTO Nights are designed for people who want to stay up to date with the latest tools, technologies, processes and practices in the software industry. We cover a vast range of topics on our GOTO Nights. If you have a topic you are keen to learn more about, please let us know and we'll try to organize a talk. GOTO Night: Internet of Things - A Phantom Menace ? GOTO Night: Who slowed us down? I want my monolith back!